Prior to forming Russell and Russell Consulting with his business partner, John Russell, Scott Russell was the Vice-President of Sales and Marketing for Sandestin Golf and Beach Resort in Destin, Florida. 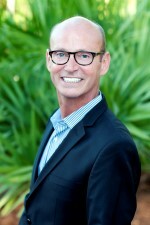 In his role, Russell oversaw all Sales and Marketing activities for the Resort. He also served as strategic counsel for the Marriott Courtyard and Marriott Residence Inn, both located at Sandestin, as well as Cottage Rental Agency in nearby Seaside. Since forming the partnership, Scott Russell has worked with many of Northwest Florida’s top rental management companies such as Homeowners Collection, The Emerald Grande and My Vacation Haven on branding, sales strategy and marketing direction. In addition to these vacation rental companies he continues to work with local, regional and national hotel companies in sales and marketing support. Clients in this area include the newly opened The Pearl in Rosemary Beach as well as The Delano, Shore Club and Mondrian in Miami Beach and The Westin Monache Resort in Mammoth Lakes, CA. Russell received his bachelor’s degree from the University of New Orleans. He is also a graduate of several Ritz-Carlton sales training programs including Mastering Sales Productivity, Strategy and Peak Performance programs as well as Ritz-Carlton’s renowned “Oratorio” public speaking program. He is the recipient of several awards and recognitions including Ritz-Carlton’s top sales person in 1992, 1993 and 1994. In 2003, Russell was named one of New Orleans “Top Men of Substance and Style” by New Orleans Magazine and in 2004 he was named WHERE Magazine’s Silver Plum Award winner as the “Marketing Director of the Year. Recently he was awarded with Walton Chambers Leadership in Excellence Award as well as “Brilliant Boss” by Simon T. Bailey in a nationwide search. Russell all serves on the Advisory Board for Visit South Walton the local TDC in Walton County. John Russell started his career in hotel operations in 1979. In the first thirteen years of his career he opened three Hyatt Hotels, worked in 13 and became the youngest General Manager in the company at age 32. Recruited by Ritz-Carlton, he was the General Manager of three more properties, two of them as opening General Manager, including the Ritz-Carlton New Orleans, the largest project in the company. This flagship property consisted of three separate hotels with the Ritz-Carlton winning Five Diamonds from AAA in its first year of operation. John Russell left Ritz-Carlton to become a partner in the West Paces Hotel Group. This luxury hotel management company was formed by the former CEO of Ritz-Carlton, legendary hotelier Horst Schulze. During his six year career at West Paces, Russell was the Vice-President and Managing Director of several properties and taught Hospitality Finance for two years at Auburn University. The last property managed by John Russell for the West Paces Hotel Group was the Daufuskie Island Resort and Breathe Spa located off the coast of South Carolina. Among the many amenities of this island resort were 150 vacation rental properties, Russell’s first experience in the vacation rental market. 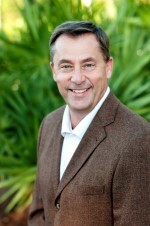 John Russell joined Intrawest Hospitality Management as a Senior Vice President and Managing Director in January of 2009. 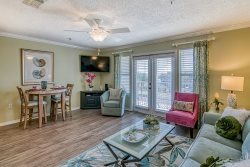 Responsibilities in this position included managing the 1,400 unit vacation rental operation of the Sandestin Golf and Beach Resort, the 220 vacation rental unit operation of the Cottage Rental Agency in Seaside, the Marriott Courtyard, and the Residence Inn by Marriott. During this time John Russell was Chairman of the Walton Area Chamber of Commerce, Chairman of the Destin Charity Wine Auction Foundation, a board member of the Sandestin Owners Association, board member of the Grand Sandestin HOA and board member of the Bayside Inn HOA. Intrawest sold its holdings in Sandestin to Tom Becnel in March of 2010 and Russell was named President of newly formed Sandestin Investments, LLC. John Russell resigned from Sandestin Investments in February of 2012 to form Russell and Russell Hospitality Consulting with the former Vice-President of Sales and Marketing for Sandestin Investments Scott Russell. Scott and John formed Russell Vacation Rentals in October of 2013. John Russell has a Bachelor of Science degree from Smeal College of Business at Pennsylvania State University and is the President of Destin Charity Wine Auction Foundation.